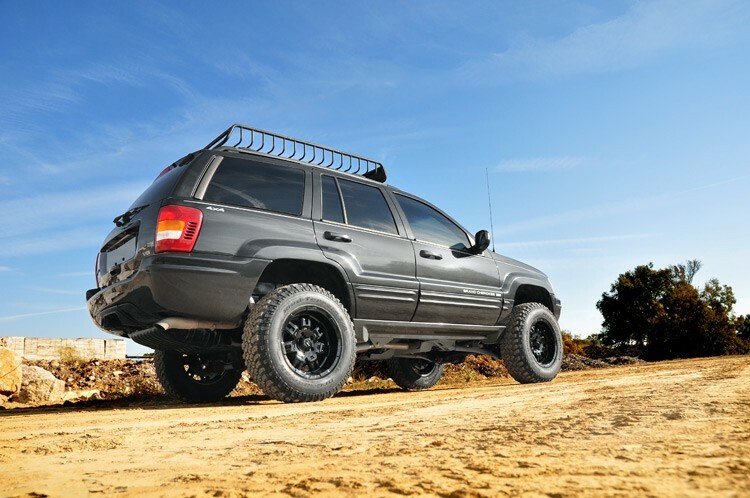 The long awaited WJ 4-inch Longarm Kit is a comprehensive package including everything needed for a great suspension lift while maintaining the vehicle's crucial center of gravity. 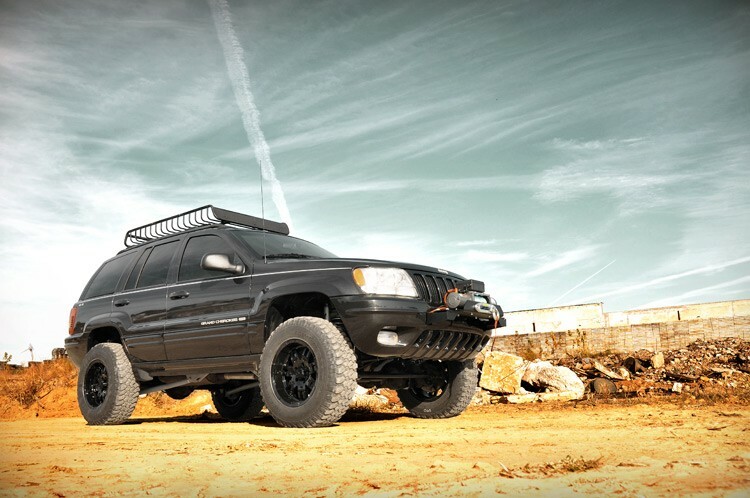 Upgrade your WJ and gain aggressive looks, extreme flex, and enough ride height to run up to 31-inch tires. The kit includes adjustable high-clearance X-Flex upper and lower control arms with Clevite bushings, featuringX-Flex joints. 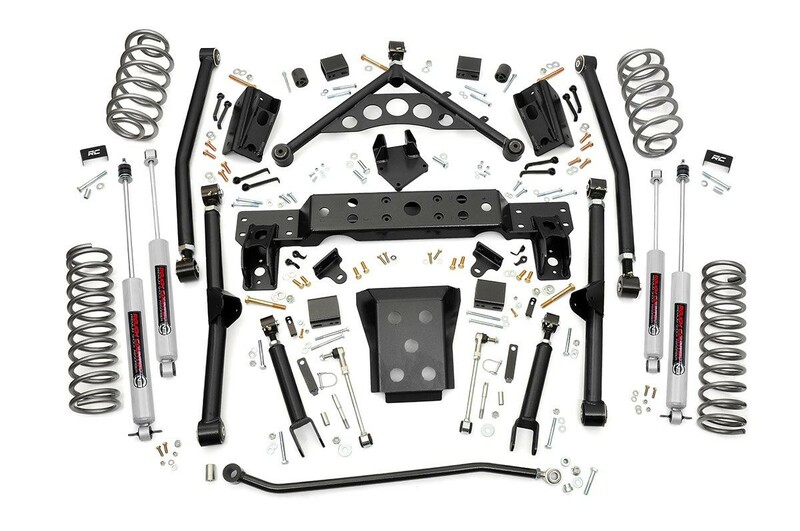 The kit also includes front and rear coil springs, a front adjustable track bar with drop bracket, 1/4-inch thick steel crossmember, skid plate and sway bar disconnects. 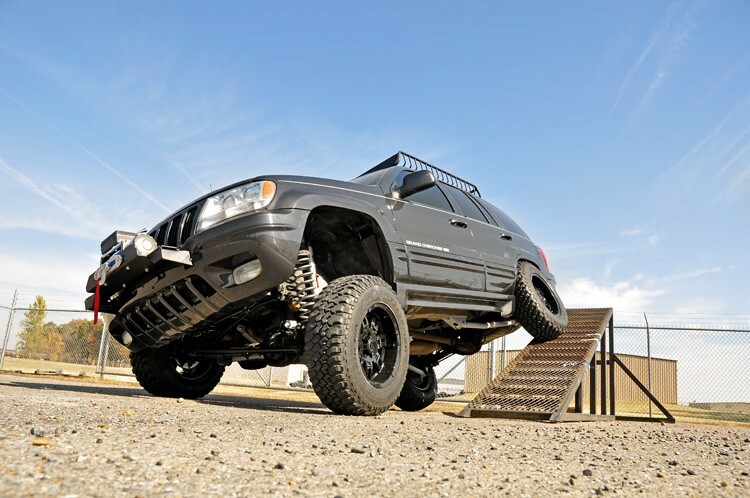 Outfitted with Rough Country's N3 shocks, this Longarm Lift Kit is a total solution comprised of top-notch components designed for the avid off-roader who wants the most out of their WJ.